This week, we are finally on Summer break! No school schedules anymore so we are taking advantage of the beach, running around in the sprinklers and painting some purple unicorns. 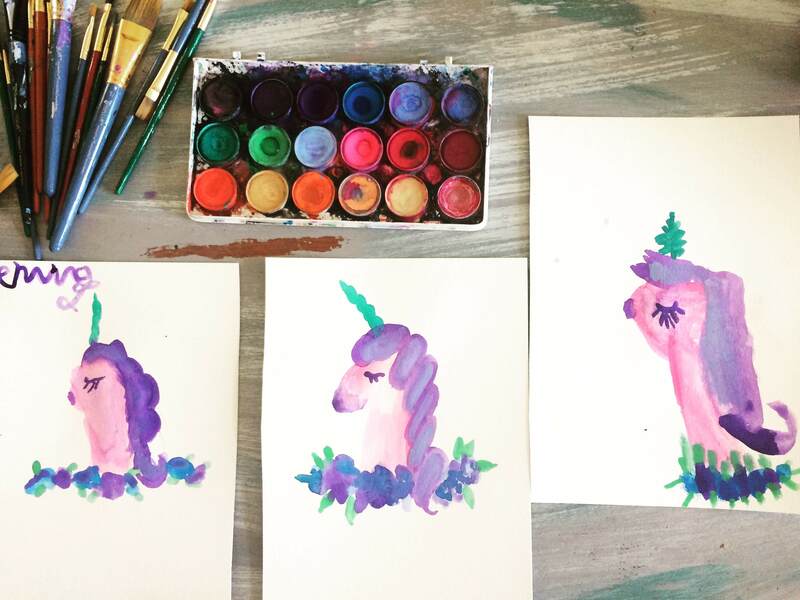 My daughter’s and I sat down to film our latest youtube video, painting a purple unicorn this week and they turned out so cute!! You can view the full video here. We are loving unicorns this Summer and my daughter wants one for her birthday. Learning to paint one seemed like a must do for school break. In the tutorial, I give step by step instructions on how to paint a purple unicorn with a flower wreath. This video is suitable for all ages and painting is a perfect quiet time activity. Here is a preview of what you will learn with the full Purple Unicorn video! Enjoy the video and feel free to comment with any questions you may have.